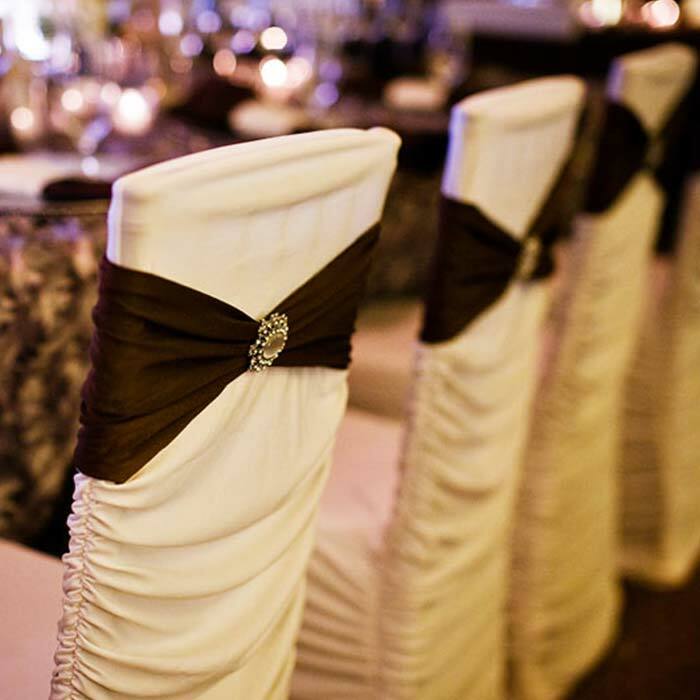 Designed to fit any chair, our high end chair covers represent the latest fashions, and our custom bands and brooches can turn any chair into a couture accessory. 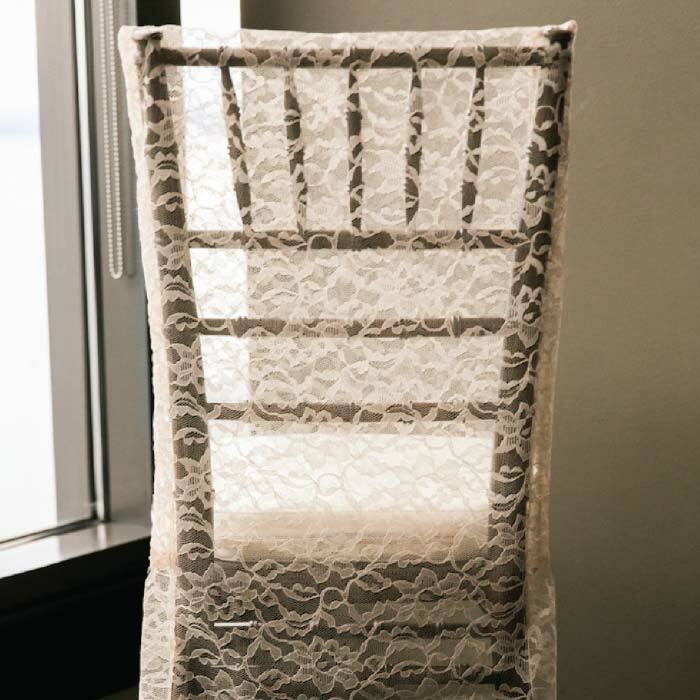 We were on the fence about renting chair covers, but we’re so glad we did! What a difference they made! I went back and forth on chivari chairs and covers and we ultimately went with the covers with no band or brooch. We are so glad we did! It didn’t break the bank like renting chairs but still achieved the look we wanted. I saw the chair covers being installed at the Bellevue Hyatt and loved the way they looked in the room! I not only hired Swank to do our 500+ covers I also ended up hiring Janel with Occasions, LLC to be our planner! Win, win!